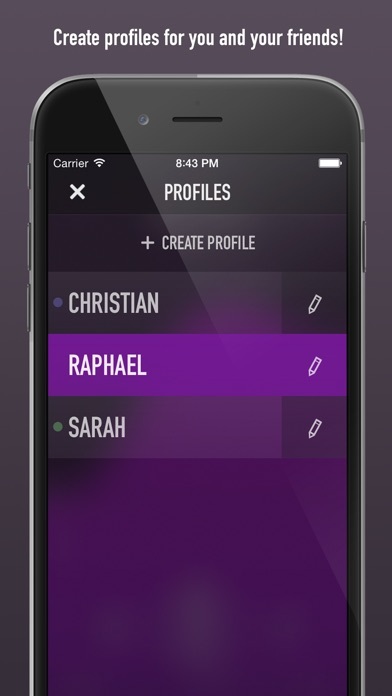 Cool app, but unusable due to bugs. Fantastic app, however the arrow button does not work allowing one to move back to a previous menu. As a result, it’s unusable on my iPhone 6. 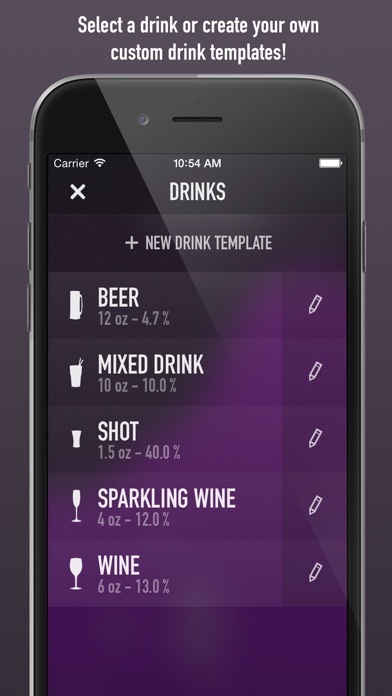 Otherwise, it would be a great tool for monitoring alcohol consumption, etc. Love this app. You can adjust basically everything, and not only does it take into effect height, weight, and gender, but also how full your stomach is (affects absorption) and tells you where your BAC is heading. Probably not 100% accurate and I wouldn't necessarily recommend using it to determine whether or not you should be operating a vehicle (when in doubt, you'll never regret NOT driving later), but great all around. I was surprised to see how quickly a small woman like myself gets over the legal limit!! Love this app. Would love it more with updated support. I would be so happy to be able to integrate with my Apple Watch so I don’t have to keep pulling out my phone. Thanks for a great app. Unusably broken on iPhone X. 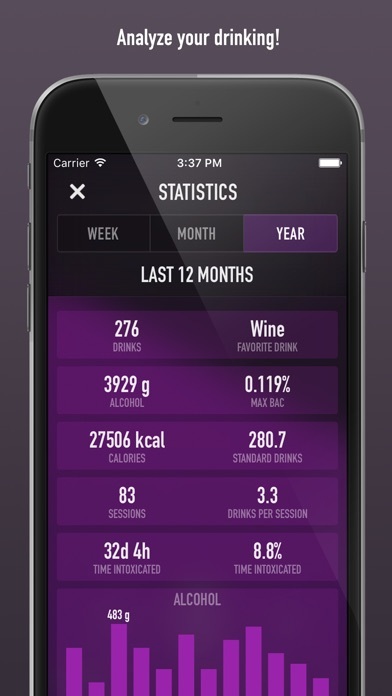 Was a great app but unfortunately looks like apple frowns on alcohol apps now so developer is unable to update. Unfortunate as this app was well made and useful in past. Fantastic!! Apple needs to approve for iOS 11!! I love this app. It can single-handedly change your drinking habits. 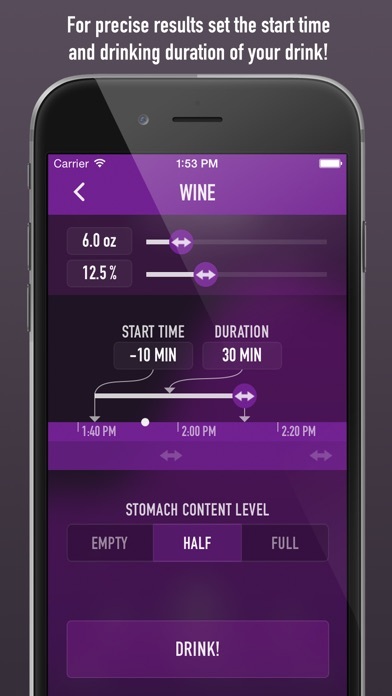 Before this app, I had no idea it took *so long* for the full effect of alcohol to hit you! 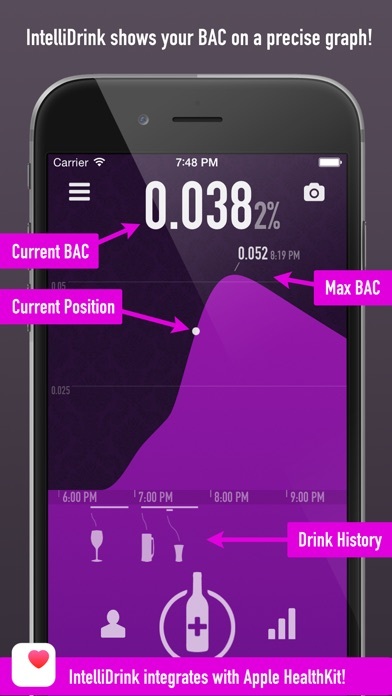 This app can help you ride that fine line between enjoyably tipsy and sloppy drunk because it tells you exactly how high your BAC is *going* to be, as opposed to judging whether or not to have another drink based on how you feel in that moment (not a good strategy, I’ve since learned!!). Very helpful for avoiding the dreaded hangover! My only gripe is with Apple. Since updating to iOS 11, some of the functionality of the app doesn’t work (the back buttons don’t do anything, so you have to close the app in order to get out of some screens). The developer has stated in other comments that he has already written a code update for this, but Apple rejected it. I have my fingers crossed SO HARD that the developer and Apple are able to come to an agreement so that this app can continue its wonderful existence. Don’t let that simple functionality issue deter you. 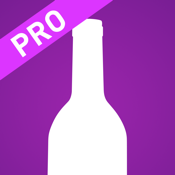 It’s STILL a fantastic app and does everything you need, even with its minor issues.